Wouldn’t it be lovely if Valentine’s grew on trees? 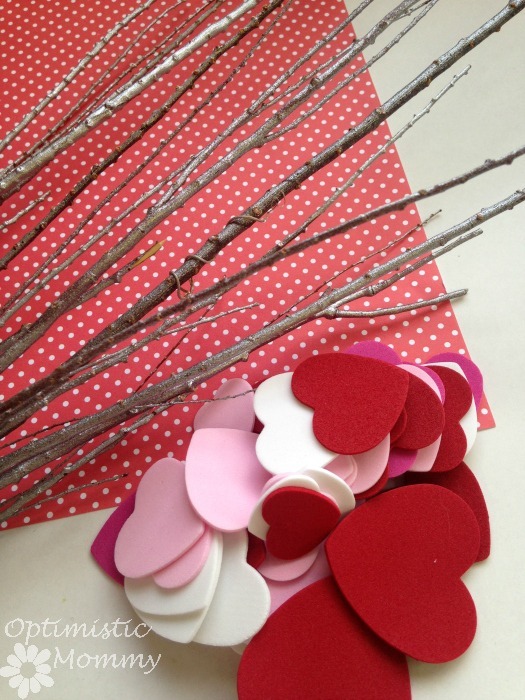 This Valentine’s Day, grow your own tree of love when you craft this Heart Tree Valentine’s Day centerpiece. Made from less than $5 worth of supplies, you can craft a tree just as you see here. It is perfect for displaying in a vase on your Valentine’s Day table, or even for giving as a gift. Here is how to get started making your own! Begin by placing the branches on some newspaper and applying coat of paint. You can apply several coats for full coverage, or just one for a more rustic look. Once the paint is dry, apply some glue to the back of the foam hearts. Press the hearts to the branches in a random fashion. Just add a dab of glue, and press. You may need to hold the hearts in place until secure. Continue applying until the branches are as full as you wish. You can use all of one color if you wish, or use multiple colors as we did. Once your glue is dry and your hearts are in place, you can then assemble the tree in a vase of jar. If the branches are too long, simply snap off the bottom to shorten them. You can tie the bundle with ribbon, or go for a more natural look with twine if you wish. 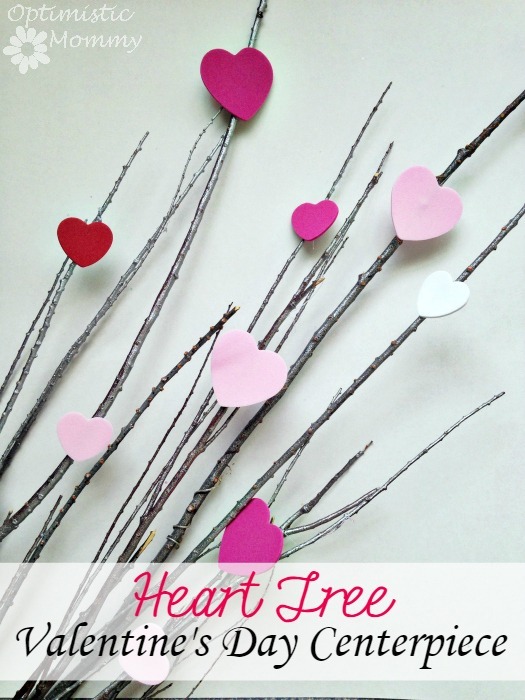 Gather your supplies and give this easy heart tree Valentine’s Day centerpiece a try. It is a wonderful way to get festive this season for sweethearts! Cute idea! I have a ton of silver sprayed branches leftover from Christmas, this is a great way to reuse them! I love the simplicity, too! 🙂 Thanks for the idea! This is so sweet and stylish. So clever! Thank you. Looks so cute and easy. I like it! Cute! I love it! Pinning to the Monday Funday board! The kids would love making these looks so easy and fun too. 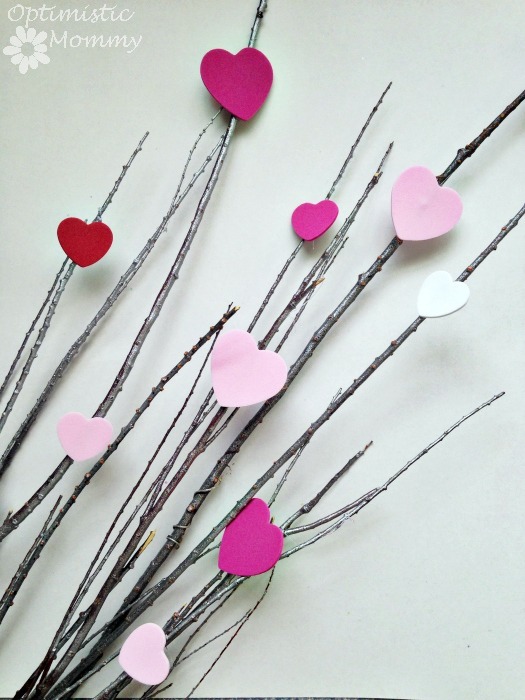 What a cute and easy DIY project for Valentine’s Day! Thanks for sharing. So cute and fun to make! I have a friend who made one similar and it turned out adorable! I’ll have to try now! Thanks for linking up at OMHG WW this week! This is great! It’s so simple but makes a statement! Pinning and sharing! This such an neat idea! Thank you so much for sharing and Happy Valentines Day early! I love this idea! I’ve been decorating for Valentine’s Day and looking for new ideas. I’m going to try this one tomorrow. Great minds think alike, giggle. I have something similar planned. Love yours. Thank you for sharing at the Thursday Favorite Things blog hop. xo P.S. did you see my new giveaways? A lovely decoration for Valentine´s Day and I think it would look good at a wedding as well. I shared it on my Pinterest board Holiday. LOVE this! So simple, and yet makes such a great statement! Thanks for sharing 🙂 Found you at the Show Me Saturday party! What a darling and simple idea! I love using things from nature (because they are cheap) and making them “pretty”. Thank you for linking up to Snickerdoodle Sunday! Hope you come again this Saturday! 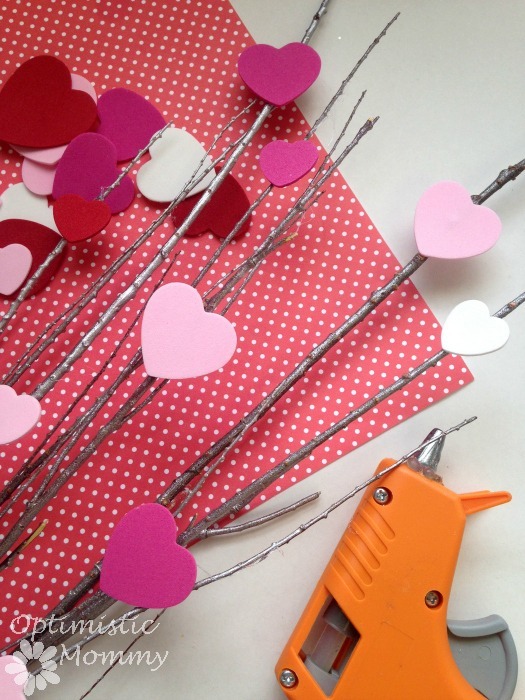 Wonderful post you have shared about the heart-tree-valentines-day-centerpiece, which is really enjoyable and memorable. Thanks for sharing. Keep me more updates about that. This is so sweet. I really love using stuff you can literally find outside to make crafts.